Today you will visit a small jewel: the old town of Merano. 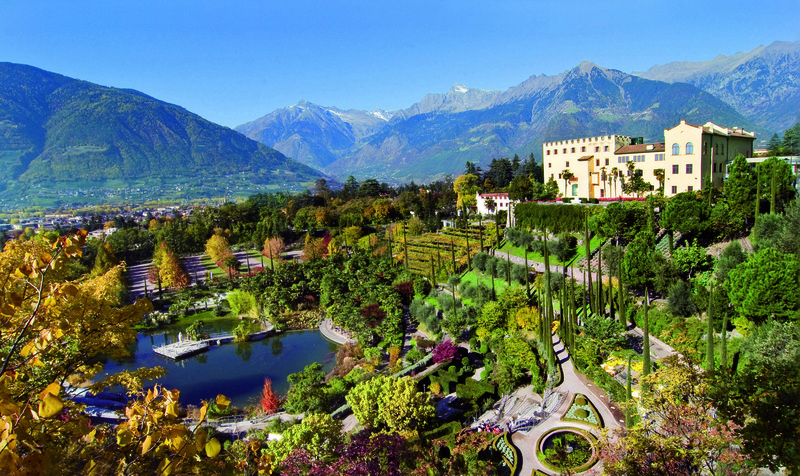 A stroll through Merano’s old town takes you back to the Middle Ages. A fascinating route goes round the Portici, the arcades, the Steinach district and the three surviving city gates. A visit of the Gardens of Trauttmansdorf Castle is a must! Art and nature have been blending for 15 years at the Gardens, set in a natural amphitheater, with more than 80 garden landscapes from around the world and several unique Experience Stations. The train follows its 6 km route known as the enchanted trail.